Welcome to The Center for Holistic Life Extension. We are happy you selected us to assist you in meeting your health challenges. More importantly, we are pleased to have this opportunity to help you achieve optimal health and a happier and more rewarding life than you ever imagined. It will give you the knowledge necessary to assist you in becoming a successful partner in your journey into a joyful and healthy life. Because this will be an adventure in living and learning, we prefer to think of you as a partner, rather than a patient. We will learn from each other and communicate with honesty and understanding. This is the surest way for us to achieve our desired goal. It is important that you understand the proven therapies and innovative concepts of The Center for Holistic Life Extension. This will provide the motivation necessary for you to achieve the objectives which brought you here. The Center For Holistic Life Extension has obtained excellent results with the therapies they have offered for the last forty years to thousands of patients. Our experience is known world wide on a professional level, curing symptoms and causes of disease. The difference between us and other clinics is that we deal with patients, not files. We look at our patients as human beings with feelings, who are experiencing difficult times, as are their families. Our goal and mission, is to bring to you that feeling of usefulness throughout every aspect of your life. With God's guidance, our doctors' principal task is to function only as His instrument, to bring health and well-being to our patients. 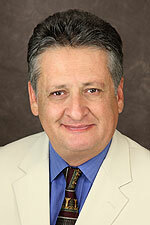 Therapies from The Center For Holistic Life Extension are delivered by a licensed doctor, Dr. Luis Velazquez. You can feel secure in the knowledge that the exclusive therapies offered by Dr. Luis Velazquez are delivered efficiently with a 100% natural method. The products are imported from the United States, Australia, Europe, and from the rainforests of Mexico. We are looking forward to having you with us. Thank you for the confidence you are placing in us. 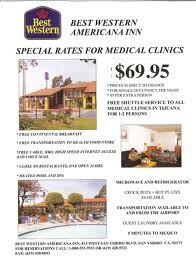 The Center for Holistic Life Extension is located in Tijuana, Mexico. Tijuana was founded in 1889, has an area of 835 square miles, a mediterranean type climate and is ranked the world's most visited city. Over 36 million people from all over the world cross the Tijuana border each year. Tijuana experiences enormous industrial and commercial development each year. While you're here, you may want to take advantage of our duty-free zone and purchase high quality handcrafts from all of Mexico. Each U.S. citizen may purchase up to $400.00 in merchandise, duty free. Fruits and vegetables may not be brought back into the United States. Guns are illegal in Mexico. In addition to planned shopping trips, there are two medium sized shopping centers and a fairly large mall near the border called Plaza Rio. Mexicans are a proud and friendly people. The Latin, Indian and Oriental mix provides a cultural variety rarely seen elsewhere. THE TEMPERATURE is like that of San Diego, more temperate than tropical. The nights are usually cool all year around. During the winter months, it can get rather cold with temperatures in the 40's and 50's. The summer days are usually comfortably warm and rarely hot. Because we are situated close to the Pacific, there is always a pleasant breeze. Dress seasonably. You will need a passport when traveling to and from Mexico. IF POSSIBLE, bring medical records: x-rays, surgical reports, lab reports, doctors records or summaries, etc. There are shops within walking distance or we will take you to downtown Tijuana where stores, restaurants and entertainment abound. A little further, you can cross the border where, within a fifteen mile radius, you will find all of the usual U.S. attractions. NOTE: PAYMENT to be made in U.S. dollars, traveler's checks, or money orders. Due to international clearance problems, personal checks are not accepted. "Our medical and holistic understandings are able to treat any pathology, regardless of the level of difficulty." Sicknesses do not exist; we provoke them intentionally through a lack of appropriate preventive education. Cancer (I, II, III, IV stage). Arthritis (all forms and modalities). MS, ALS, Allergies, Muscular Dystrophy, Lupus, Scleroderma, Chronic Fatigue Syndrome, Diabetes Mellitus, Colitis, Obesity, Huntington Disease (Chorea), Down's Syndrome, growth deficiency, learning disabilities. General surgery, Oncological surgery, intensive care support therapy with Internal medicine specialists, allopathic medicine as a complaisant for those specific cases of recuperation of patients in critical condition.